Halloween weekend approaches, and many networks will be airing scary films and horror movies nonstop in celebration of the holiday. Below, find a comprehensive list of festive programming from Friday, October 28, through Monday, October 31. All times are EST. Happy Halloween! *9 a.m. “Ghoulies II,” AMC. *12 p.m. “The Grudge,” AMC. *1 p.m. “The Devil’s Rejects,” Chiller. *2 p.m. “A Nightmare on Elm Street (2010),” AMC. *4 p.m. “Freddy vs Jason,” AMC. *5 p.m. “Book of Shadows: Blair Witch 2,” Chiller. *6 p.m. “Friday the 13th,” AMC. 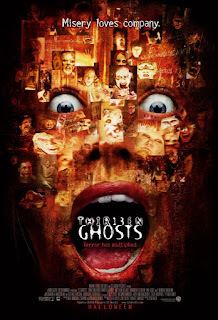 *6 p.m. “Thir13en Ghosts,” Spike. *7 p.m. “The Blair Witch Project,” Chiller. *8 p.m. “Friday the 13th, Part II,” AMC. 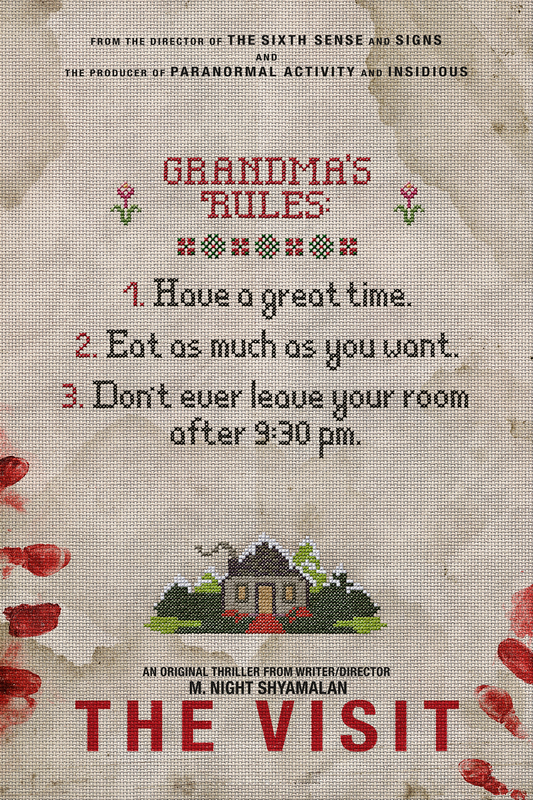 *9 p.m. “Sorority Row,” Chiller. *9:59 p.m. “Friday the 13th, Part III,” AMC. *10 p.m. “Stephen King’s It,” Spike. *3:04 a.m. “Friday the 13th, Part IV: The Final Chapter,” AMC. *5:04 a.m. “Friday the 13th, Part V: A New Beginning,” AMC. *6:30 a.m. “Grave Encounters,” Chiller. *7:04 a.m. “Friday the 13th, Part VI: Jason Lives,” AMC. *8:10 a.m. “The Fly (1958),” Encore. *9:03 a.m. “Friday the 13th, Part VII: The New Blood,” AMC. *9:45 a.m. “Prom Night,” Encore. *11 a.m. “Stake Land,” SyFy. *11 a.m. “The Grudge 2,” Chiller. *11:02 a.m. “Friday the 13th, Part VII: Jason Takes Manhattan,” AMC. *11:15 a.m. “Army of Darkness,” Encore. *12:40 p.m. “The Prophecy,” Encore. *1 p.m. “The Grudge 3,” Chiller. *1 p.m. “Stake Land 2,” SyFy. *1:02 p.m. “Friday Goes to Hell: The Final Friday,” AMC. *2:20 p.m. “The Cave,” Encore. *3 p.m. “Jason X,” AMC. *3 p.m. “Resident Evil: Apocalypse,” SyFy. *3:15 p.m. “Mimic 2,” IFC. *4 p.m. “I Know What You Did Last Summer,” Encore. *5 p.m. “Friday the 13th (2009),” AMC. *5 p.m. “All Cheerleaders Die,” Chiller. *5 p.m. “Resident Evil: Afterlife,” SyFy. *5:15 p.m. “The Mist,” IFC. *5:45 p.m. “I Still Know What You Did Last Summer,” Encore. *7 p.m. “Halloween (1978),” AMC. *7 p.m. “Sorority Row,” Chiller. *7:30 p.m. “Prom Night,” Encore. *9 p.m. “Halloween II (1981),” AMC. *9 p.m. “American Mary,” Chiller. *9 p.m. “The Skeleton Key,” Encore. *10:50 p.m. “John Carpenter’s Vampires,” Encore. *11 p.m. “Halloween III: Season of the Witch,” AMC. *1 a.m. “Halloween 4: The Return of Michael Myers,” AMC. *2:58 a.m. “Halloween 5: The Revenge of Michael Myers,” AMC. *4:58 a.m. “Halloween (2007),” AMC. *7:28 a.m. “Halloween II (2009),” AMC. *8:30 a.m. “The Howling,” Chiller. *9 a.m. “House of Bones,” SyFy. *9:20 a.m. “The Midnight Meat Train,” Encore. *9:55 a.m. “Halloween (1978),” AMC. *10:30 a.m. “Highway to Hell,” Chiller. *11 a.m. “Children of the Corn,” SyFy. *11 a.m. “Stephen King’s It,” Spike. 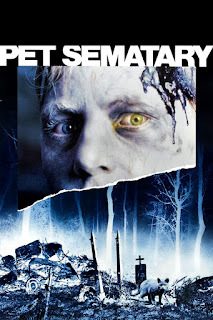 *11:05 a.m. “Pet Sematary,” Encore. *11:55 a.m. “Halloween II (1981)” AMC. *12:30 p.m. “Killer Klowns from Outer Space,” Chiller. *12:50 p.m. “Bram Stoker’s Dracula,” Encore. *1 p.m. “Resident Evil: Afterlife,” SyFy. *1:55 p.m. “Halloween III: Season of the Witch,” AMC. *3 p.m. “30 Days of Night,” Encore. *3 p.m. “The Night Before Halloween,” SyFy. *3:15 p.m. “The Hills Have Eyes II,” IFC. *3:55 p.m. “Halloween 4: The Return of Michael Myers,” AMC. *4:55 p.m. “Red State,” Encore. *5 p.m. “Wrong Turn,” SyFy. *5:55 p.m. “Halloween 5: The Revenge of Michael Myers,” AMC. *6:30 p.m. “The Wicker Man (1973),” Encore. *7 p.m. “Jeepers Creepers II,” SyFy. *9 p.m. “Poltergeist II: The Other Side,” Chiller. *9 p.m. “The Strangers,” SyFy. *10 p.m. “Child’s Play,” Encore. *10 p.m. “Jennifer’s Body,” MTV. *11 p.m. “Poltergeist III,” Chiller. *11 p.m. “Grave Halloween,” SyFy. 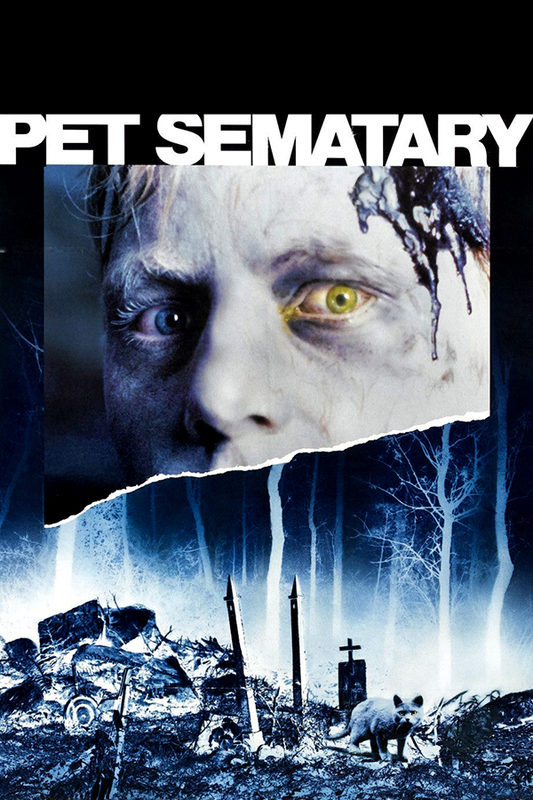 *11:30 p.m. “Pet Sematary,” Encore. *6:30 a.m. “Grave Halloween,” SyFy. *6:55 a.m. “The Children,” Cinemax. *8:30 a.m. “Stir of Echoes,” Chiller. *8:30 a.m. “You’re Next,” SyFy. *8:55 a.m. “Night of the Living Dead,” Encore. *9 a.m. “Halloween (2007),” AMC. *10:30 a.m. “The Wicked Within,” Showtime Beyond. *10:30 a.m. “Stir of Echoes: The Homecoming,” Chiller. *11 a.m. “Don’t Blink,” TMC. *11 a.m. “The Silence of the Lambs,” Spike. *11:30 a.m. “Halloween II (2009),” AMC. *11:45 a.m. “Scream 3,” Cinemax. *12 p.m. “Jessabelle,” Showtime Beyond. *12:35 p.m. “The Roost,” TMC. *12:15 p.m. “Halloween H20: 20 Years Later,” Encore. *12:30 p.m. “Wrong Turn,” SyFy. *1:30 p.m. “Seventh Moon,” Showtime Beyond. 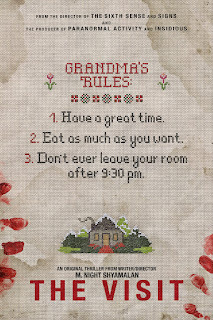 *1:45 p.m. “The Visit,” Cinemax. *1:45 p.m. “The Exorcism of Emily Rose,” Encore. *2 p.m. “Thir13en Ghosts,” Spike. *2 p.m. “Halloween (1978),” AMC. *2:30 p.m. “Carrie (2013),” MTV. *2:30 p.m. “Pumpkinhead II: Blood Wings,” Chiller. *3 p.m. “Blood Sand,” Showtime Beyond. *3:20 p.m. “Sinister 2,” Cinemax. *3:30 p.m. “The Culling,” TMC. *3:50 p.m. “Silent Hill,” Encore. *4 p.m. “Halloween II (1981),” AMC. *4 p.m. “Scream 4,” Spike. *4:30 p.m. “The Shining,” IFC. *4:30 p.m. “Poltergeist II: The Other Side,” Chiller. *5 p.m. “Compound Fracture,” TMC. *5 p.m. “The Order,” Cinemax. *5 p.m. “Jeepers Creepers II,” SyFy. *6 p.m. “Halloween 4: The Return of Michael Myers,” AMC. *6 p.m. “Halloween: The Curse of Michael Myers,” Encore. *6:15 p.m. “It Follows,” Showtime Beyond. *6:30 p.m. “The Atticus Institute,” TMC. *6:30 p.m. “Poltergeist III,” Chiller. *6:30 p.m. “The Last House on the Left,” Spike. *6:45 p.m. “The Pyramid,” Cinemax. *7 p.m. “The Strangers,” SyFy. *7:30 p.m. “Halloween H20: 20 Years Later,” Encore. *7:45 p.m. “The Shining,” IFC. *8 p.m. “Halloween 5: The Revenge of Michael Myers,” AMC. *8 p.m. “The Hills Have Eyes (1977),” Showtime Beyond. *8:15 p.m. “Resident Evil,” Cinemax. *9 p.m. “Fright Night,” Encore. 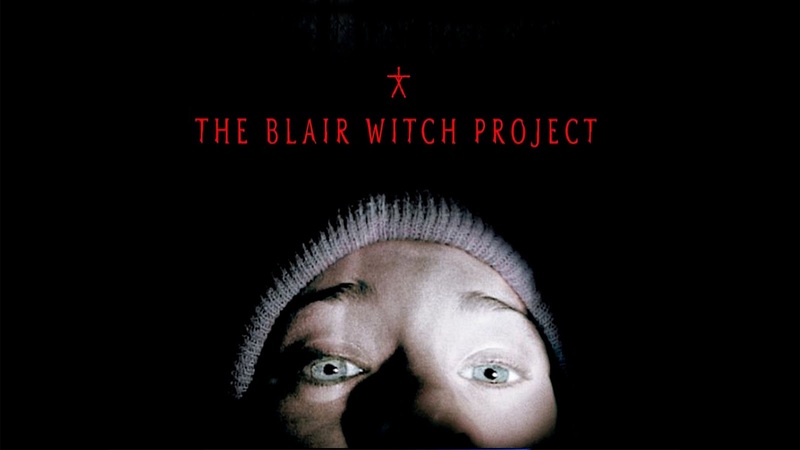 *9 p.m. “The Blair Witch Project,” Chiller. *9:30 p.m. “Patrick,” Showtime Beyond. *9:45 p.m. “Saw II,” TMC. *10 p.m. “Halloween (1978),” AMC. *10 p.m. “The Last Witch Hunter,” Cinemax. *10:50 p.m. “The Evil Dead,” Encore. *11 p.m. “Book of Shadows: Blair Witch 2,” Chiller. *11:10 p.m. “The Wicked Within,” Showtime Beyond. *11:30 p.m. “Hostel: Part II,” TMC.